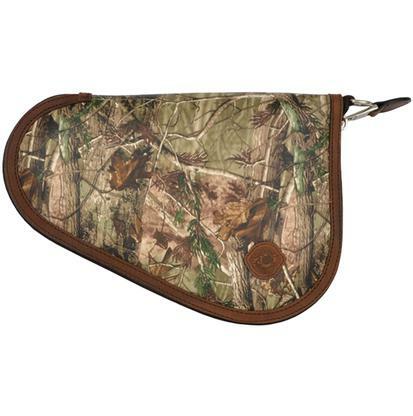 This dark brown leather wallet by 3D features a Realtree AP camo leather overlay with dark brown lacing. 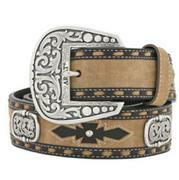 Measures approximately 5 1/4" x 2 3/4". Measures 5 1/4" x 2 3/4"
Brilliant brass bangles to adorn your graceful arms. 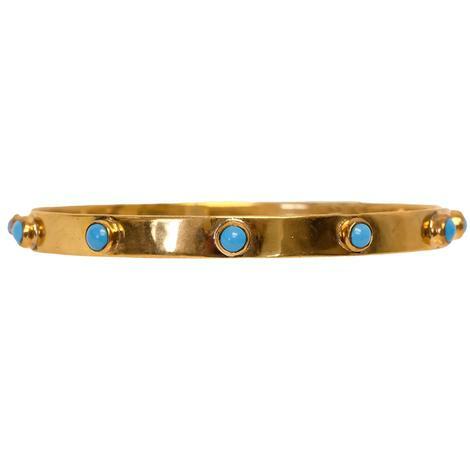 Each bangle is faceted with surrounding studs of either lapis, pink opal, or blue turquoise stones. Equally eye-catching to double or triple stack them if you so desire. 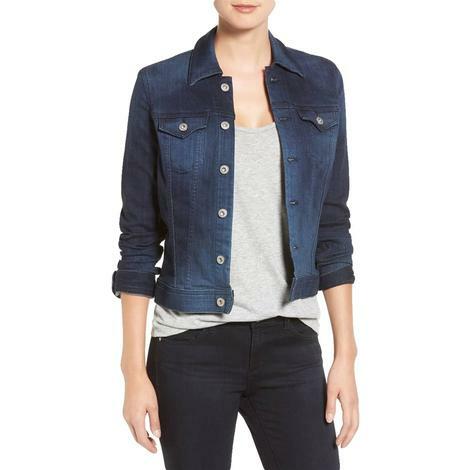 Adriano Goldschmied presents a classic denim jacket with the Robyn Jacket in a beautiful faded torrent blue. It has a fitted shape and is made of 10 oz. stretch denim. 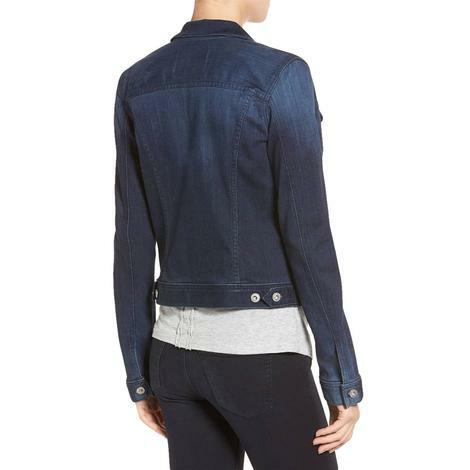 This jacket also features flap pockets and hidden hip pockets with button closures on the cuffs and jacket front. 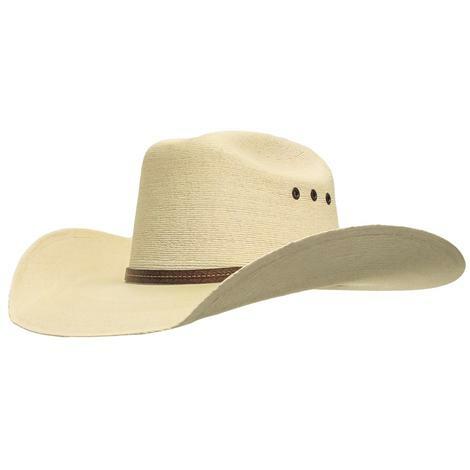 This cowboy hat by American Hat Company has a cowboy crown, 4 1/4 brim and a lambskin sweatband that'll keep you dry. Six inch open crown cowboy hat in chocolate from the American Hat Company ready to be shaped exactly the way you want it. It has a coordinating two cord hat band and a 4 ¼ inch brim. Keep cool in a hat with a wide row of all around vents. 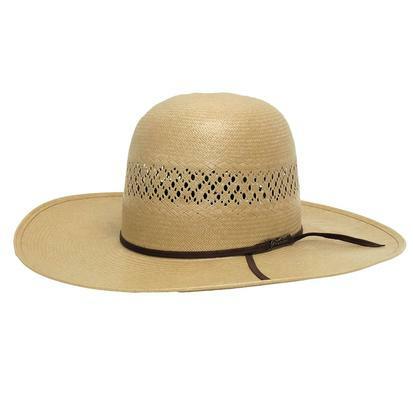 Made from high quality Panama straw, this is a hat that will be custom to you and will wear well on your head thanks to the leather sweat band. This open crown gray and natural straw cowboy hat by American Hat Company is from the Tuff Copper line. 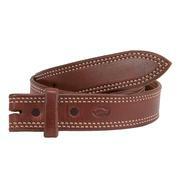 It features a leather sweatband, vented crown, and two cord steel hat band. This Macie Bean boot features a unique stitch design along the shaft as well as a bone mad dog vamp. 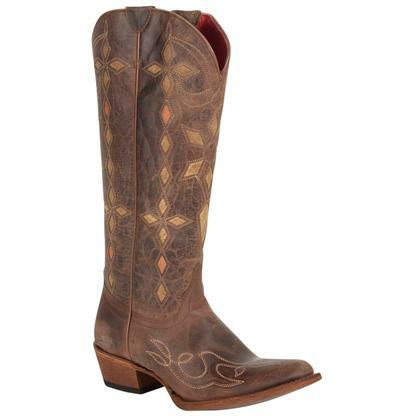 A gently rounded Brenda toe, cowgirl heal, and leather outsole rounds out the boot. 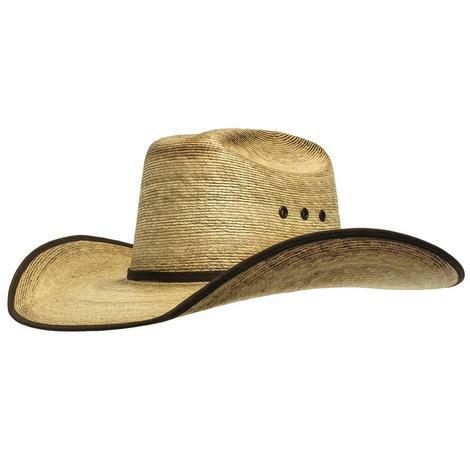 Chocolate bound edges protect the rich palm leaf of this cowboy hat band add to its style. The 4 inch brim gives you lots of protection and the 4 ¾ inch modified low crown has a great profile. The chocolate ribbon hat band matches the bound edging. Eyelets on the crown let heat escape. Size 6 3/4" – 7 3/4"
This 7X straw cowboy hat by Atwood Hat Company has a 4 1/4" brim and features chocolate eyelets and a chocolate leather hat band with silver signature bar. This is a working cowboy hat that can pull its weight rain or shine. This is made from Bangora straw that is light weight on your head but still 50X strong. The four inch brim will keep your face out of the sun while the Bangora style vents that go all around the crown will keep your head cool. The 4 ¾ inch crown looks great and performs, letting your head breath under your hat. The natural color of this straw reflects the light and contrasts the dark brown hat band giving you a good looking and hardworking cowboy hat. 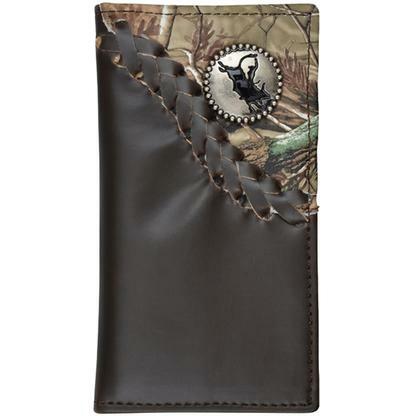 Bangora style venting goes all around the 4 ¾ inch crown. The dark brown hat band has two rows of contrasting white stitching. 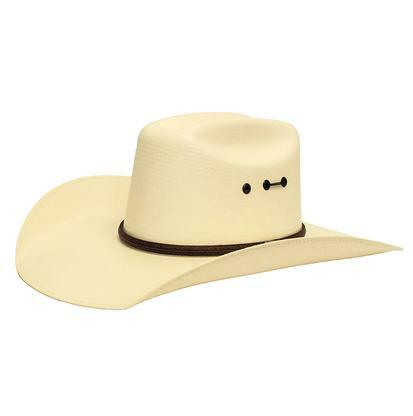 This is a high quality 50X Bangora straw cowboy hat made by Atwood. 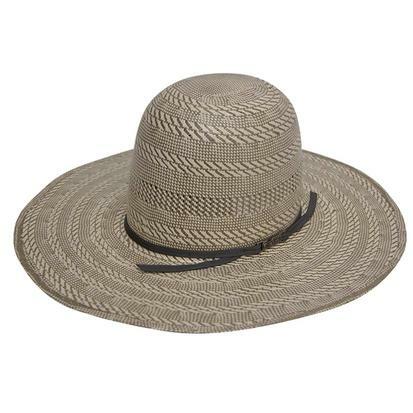 The natural color and quality straw make this a good looking and durable hat ready to go as soon as it’s in your hands. The 4 1/2 inch brim gives you plenty of shade and really works well with the shape of the crown. 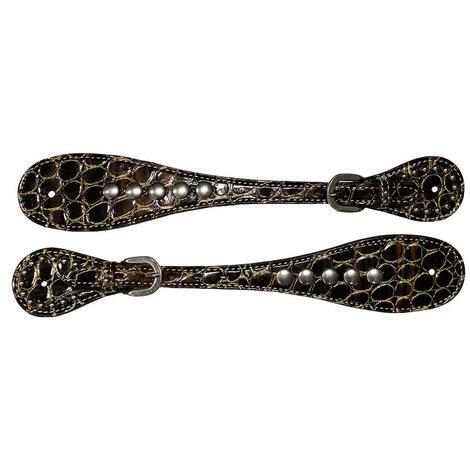 Adult brown crocodile print spur straps with gold glitter accents. 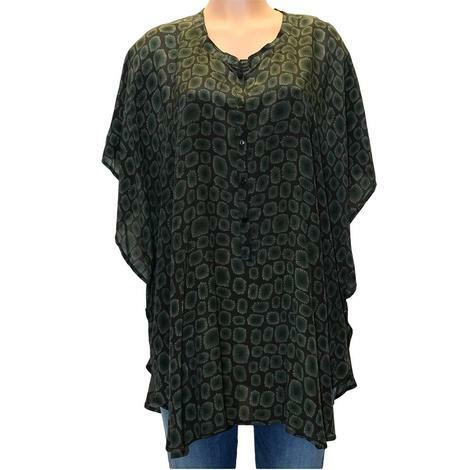 This women's Emily silk green kaftan styled top is flowy and so comfortable. 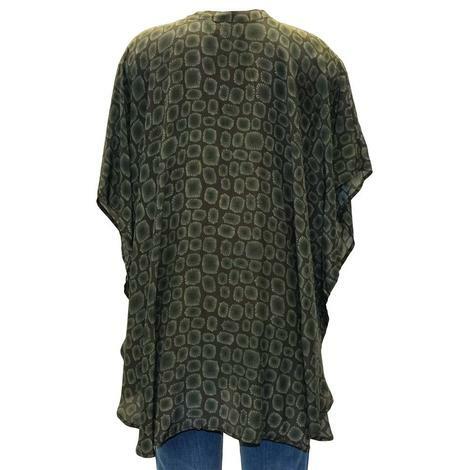 Dark green and black cell burst pattern on free open sleeves that billow down around the elbows. Button front closure and a round neck. Thighlength hem. 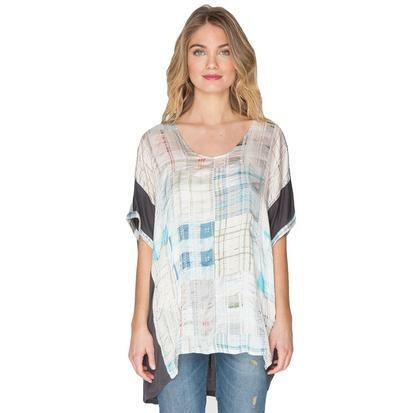 This printed silk top by Biya is cut for a draped fit and adorned by an abstracted marble print in grey and navy blue hues. 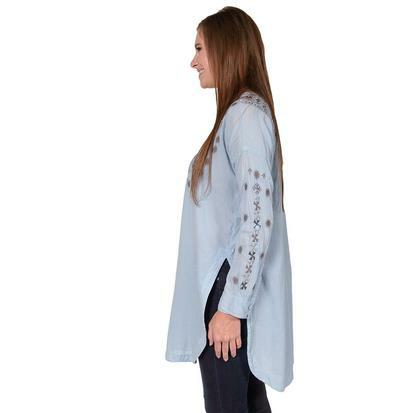 The contrast black modal panels along the top sleeves, sides, and back gives this silk top a unique and stunning look that's as pleasing to the eye as it is to wear. 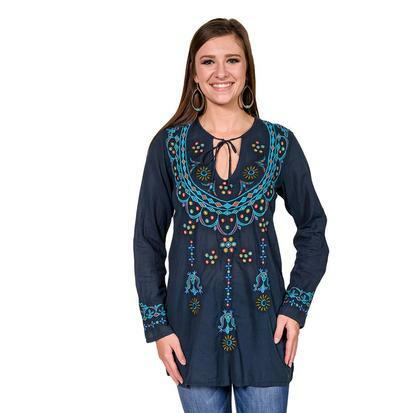 This beautiful navy blue cotton peasant blouse by Biya features a Nordic Folk Art-inspired embroidery design with a keyhole neckline with tie detail, long sleeves, and side splits. Fits true to size. 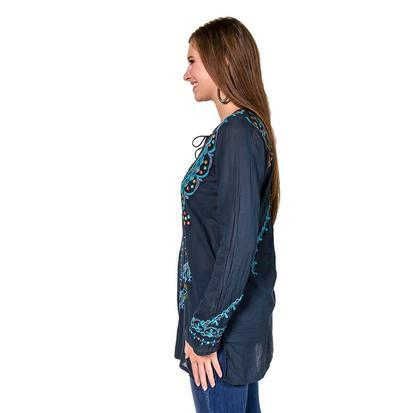 This embroidered bohemian styled tunic top by Biya is cut for a relaxed fit in breathable cotton and features a detailed embroidery design with a henley front, long tabbed sleeves, and a unique long tunic cut.